We connect people with nature, protect the environment and contribute to the development of host communities. Tourism is one of the few economic sectors that has positive impacts on environment and society. In contrast to traditional tourism, nature-based tourism does not require major investments but an intact environment. If this tourism is better accessible for a wide range of population, jobs will be created and environmental awareness stimulated. 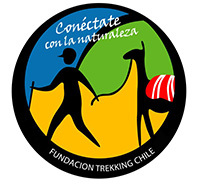 Trekkingchile promotes nature-based tourism and activities and its accessibility for a wide range of population. Small-scale enterpreneurs have the opportunity to develop and market their products. A personal contact to the population, distinctive features of their cultural customs and traditional ways of life are highlighted and used as a marketing basis in the tourism market. This positive estimation of cultural features is not only an economic advantage but most of all will increase the self-esteem of these population groups. In Chile, national tourism is concentrated mainly on beach areas and only for a few months of the year. When somebody who only knows this kind of tourism wants to set up a nature-based tourism business, he or she will have a hard time since it is difficult to meet the requirements of the activities and needs of foreign tourists. Promoting national nature-based tourism involves bringing closer people and their environment, encouraging them for environmental issues. Not only does nature-based tourism produce a healthier society, it also prepares the population for future tourism. Such activities generate future tourist managers and tourists. To this day, traditional marketing campaigns exist only for a few regions of Chile, such as Atacama, Santiago, Pucón, Puerto Varas, Torres del Paine and Easter Island. A decentralization makes it less difficult for tourist businesses of less known regions to enter the international market at equal conditions. Opening new destinations can be achieved by a dissemination of information at a national and international scale. A decentralization of tourism automatically generates environmental awareness since it is the source of income for many people. Big tourist businesses in Chile have the knowledge and possiblities to adapt their offers to the demand of the international tourism market and to satisfy international tourists. Small businesses stay out of the international market due to a lack of knowledge. Therefore, the quality of offers often reflect own requirements of the business and not the ones of the international market. It is therefore crucial to make training programs accessible to small entrepreneurs for their business to grow and tourism to prosper. Although the offers of small businesses meet intenational demand, they have no access to the international market. Not only tourism offers of the entrepreneurs but also marketing and promotion strategies have to meet international standards. Lack of foreign languages and high costs are main aspects that prevent small businesses from entering the international market. There is no one professional training for guides. The requirements are far too diverse, such as ortinology, history, flora, fauna, geology, trekking, horseback riding, kayak, drivers license, first aid, etc. Furthermore, such requirements include personal aspects that are important but not qualifiable such as kowledge of human nature and leading a group. Certification should only include attendance and not qualification. An obligatory certification can cause misapplication and monopolization on the part of the training institution. Qualification trainings of guides should be officially recognized and registered. In the last decades, Chilean traditional population groups (indians, cowboys, etc.) have increasingly abandoned their lands due to the fact that young people do not see any possibility to make a living. Well directed tourism projects do not only create new jobs but also strengthen the self-esteem of these groups. Previous aid for tourism projects mainly focused on financing infrastructural institutions. Training programs rarely are performed by successful tourist entrepreneurs but by theoretical trained staff. In the past, many trained entrepreneurs did have the infrastructure but were not successful in any of their projects. This is due to a lack of market strategies and an appropriate promotion. At the end, the entrepreneur failed due to a lack of consumer demand. To achieve its goals, the Foundation Trekkingchile relies on an innovative strategy of marketing, promotion and sales, accessible online to any entrepreneur.